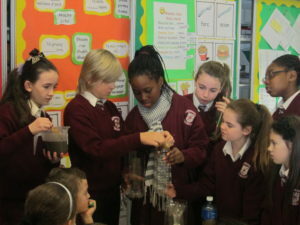 St Francis of Assisi Primary School began our Green School journey when the school was established in 2008. 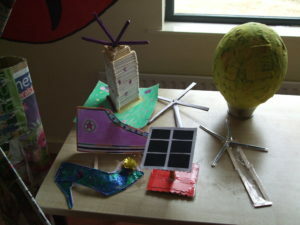 The Green School initiative is an international environmental education programme that schools voluntarily participate in. The Green School is now an integral part of our delivery of the SESE and SPHE curriculum. By participating in the Green School programme, we are creating awareness of the need to care for our environment and locality within our school community. We have been awarded the Green School Flag in recognition of our environmental work and education that you will see flying high with pride outside the school. 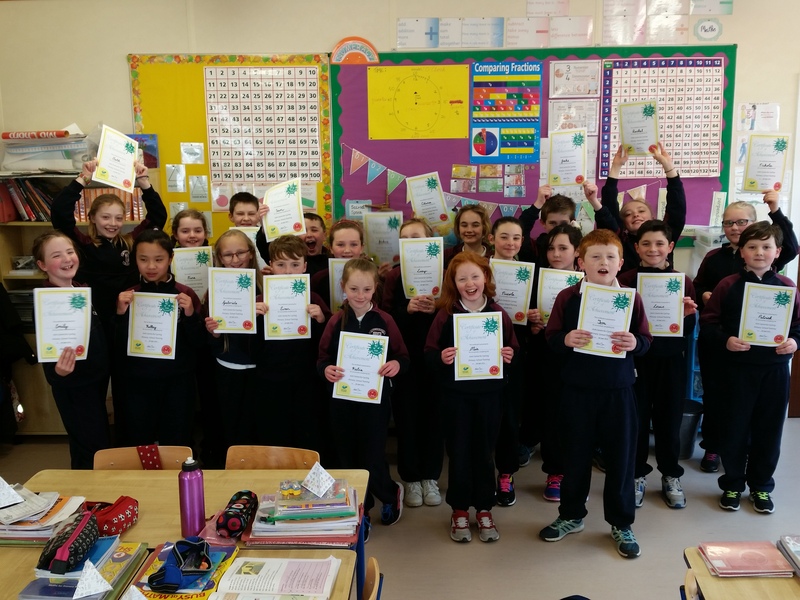 Our Green School committee members are class representatives from 3rd to 6th class who conduct surveys, establish and implement the action plan with the assistance of teachers who are the Green School Coordinators. Walk, cycle or take the bus, all of this is good for us. Around 400,000 students and workers travel 4 kilometres or less to work, school or college by car every day. These distances could be easily cycled or walked. Each engine in a car, van or bus burns fossil fuels that contribute to global warming and climate change. 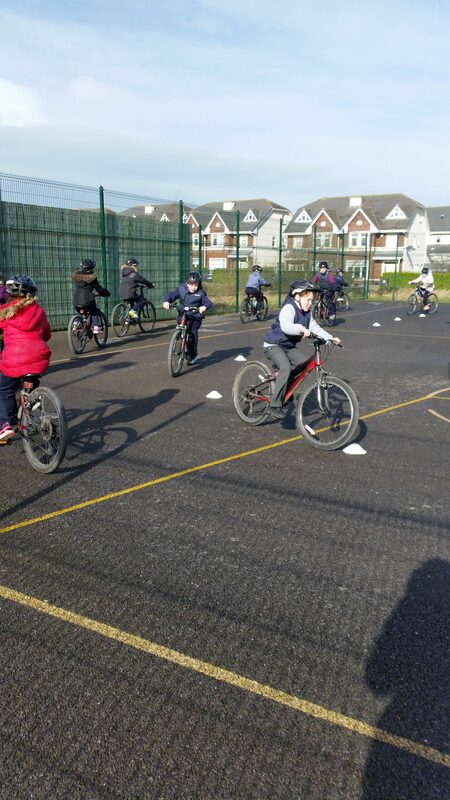 We aim to increase the number of pupils walking, cycling, scooting, park ‘n’ stride (park a distance from the school and walk), carpooling (more than 1 person sharing a journey) or using public transport, which will ease congestion by reducing the number of private cars arriving at the school gates. 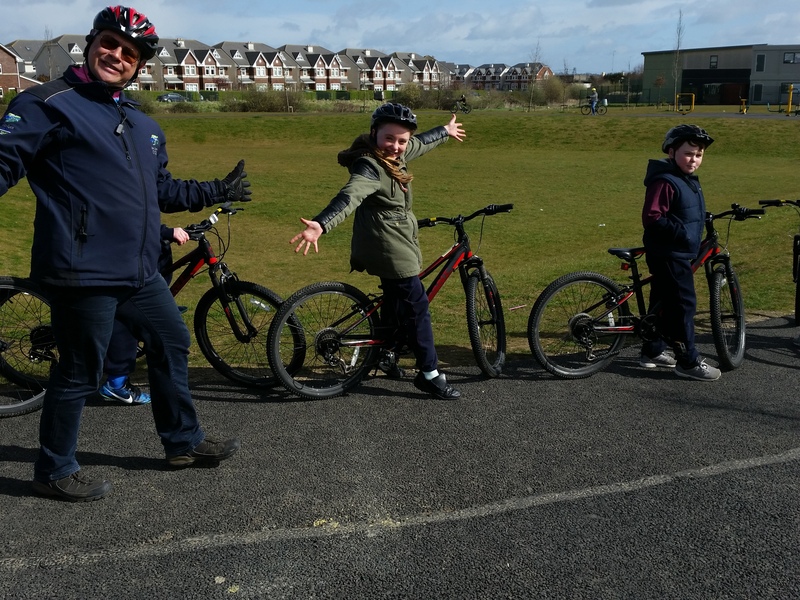 We aim to promote sustainable transport modes (walking, cycling, car pooling or park ‘n’ stride) to reduce our impact on the environment by reducing our emissions and air pollution. 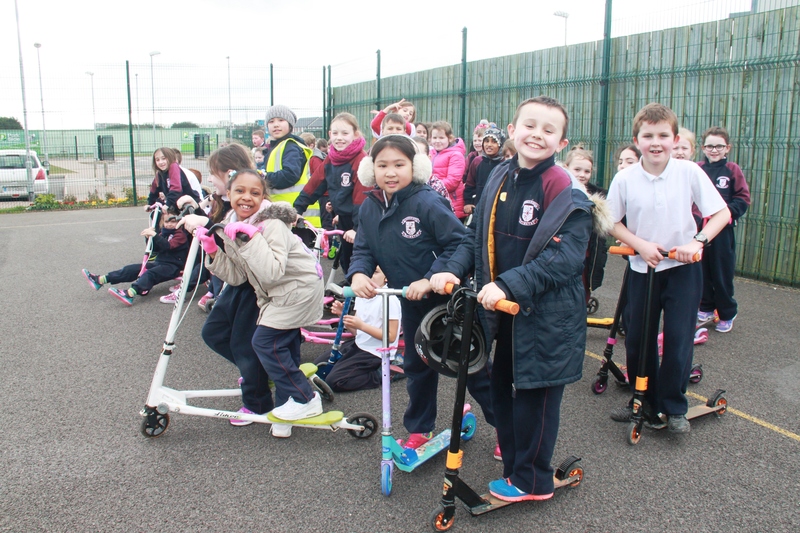 We aim to improve pupils’ safety, health and fitness. 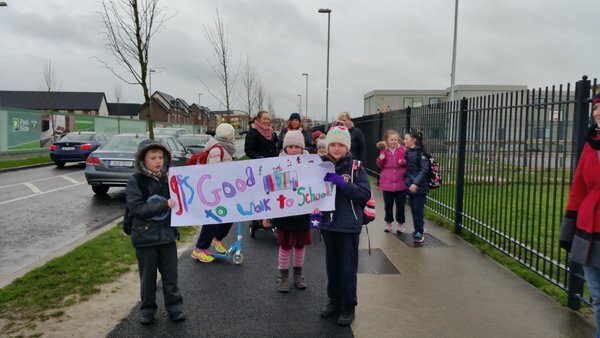 The journey to school is an ideal way for children to take part in regular physical activity, to interact with their peers, and to develop the road sense children need as pedestrians and cyclists. Water is great to drink so don’t let it go down the sink. Energy – Switch it off, save energy. 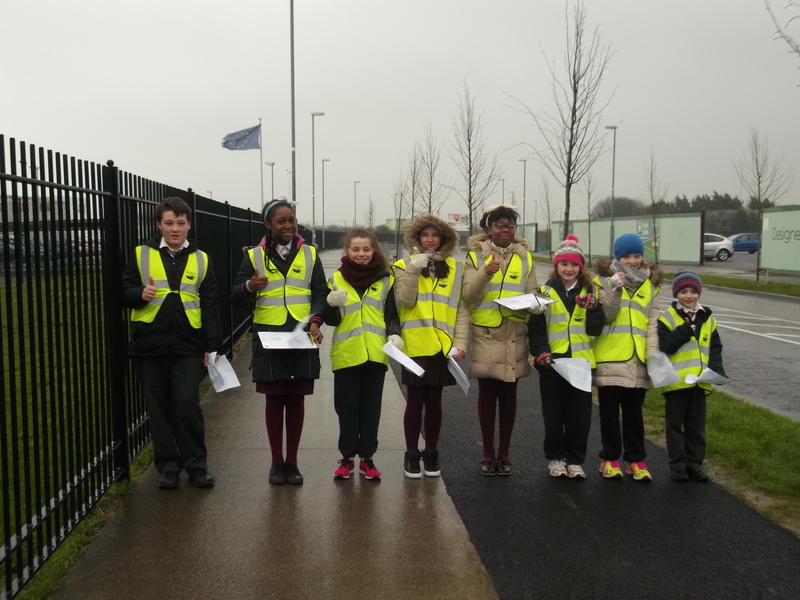 Waste and Litter – Keep our school litter free. When you are buying food, try and buy items with less packaging or with packaging that can be recycled. Use your brown bin at home to compost your food waste. 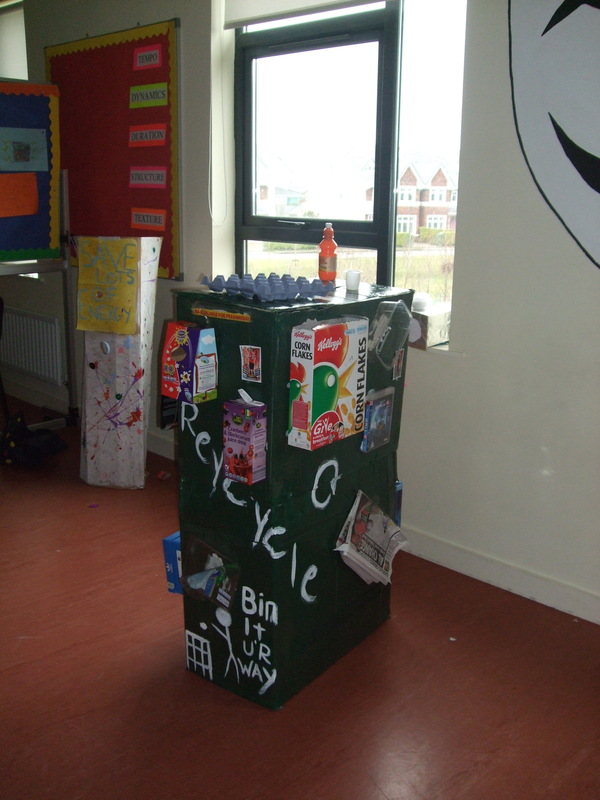 Use your green bin to recycle your paper, cardboard, plastics and cans. Reuse drink bottles for drinks with your lunch. Use a lunch box instead of plastic lunch bags. Use the classroom recycle, compost or general waste bins correctly. Use the two bins provided near the school buildings for your litter. If there is no bin, put it in your pocket until you get home and then use the bin. Don’t be a litterbug! We want to live in a clean environment. 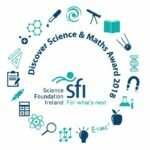 In school we try to switch off any devices while not in use or not needed such as classroom lights, projectors, interactive whiteboards and laptops. It is important to save energy because our non-renewable fossil fuels are depleting and we consume too much energy to meet that demand in the future. Therefore, it is important to conserve our resources. The burning of fossil fuels has created the greenhouse effect that is resulting in climate change. To tackle climate change and conserve our resources, we try to save energy in school. Keep your curtains closed at night, even in empty rooms and also ensure that the curtains don’t hang over the radiators to prevent heat loss. Switch appliances off rather than leaving them on standby. This will save up to 20% of your appliances’ energy use. Make better use of the timers on your immersion or boiler so you can control when the heating comes on and goes off. This means you have heating and hot water when and where you want it. We want to live in a healthy environment. It is importance to conserve water. It is a precious resource. We use energy when getting hot water. By conserving water, we are also conserving energy. Only 1% of the world’s water can be used as drinking water. This is the same water we use for washing, flushing toilets and cleaning. As human beings we rely on water to drink and survive. In school we check our taps for leaks and get them fixed. We don’t let water waste by leaving the tap run. We put the soap on our hands first and then turn on the water when ready to wash our hands and remember to turn them off. Many of our toilets have the dual flush and we try to use the flush with less water. We use a basin or the sink plug when washing art materials. 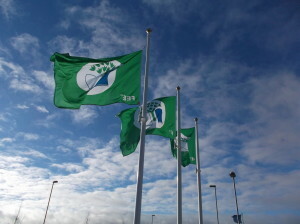 Check out www.taptips.ie for information on how to save water at home and in the garden. We want a clean and healthy water environment.